DIY - Buy a Course Now! Deborah has over 30 years of marketing and management experience in the high tech industry marketing hardware, software, services and the alternative energy companies. Previous to eMarketing4us.com, Deborah ran a marketing firm that helped businesses develop a go-to-market strategy for launching products and services by building on and offline integrated marketing plan. Deborah wanted to extend the reach of her services and developed an online system for small businesses to provide them with turnkey solutions and training to help businesses leverage the power of internet, social media and mobile marketing. Harnessing her business experience and Internet expertise, Deborah launched eMarketing4us.com; an on-demand eLearning and Internet marketing company helps businesses establish a website presence and grow their revenues online. Deborah’s extensive background includes integrated marketing communications, brand recognition, business development, cause marketing, Web 2.0, Internet marketing, public relations, media planning/buying, lead generation for F500, SMB and start-up business. In her own business, Deborah executed global marketing programs for such companies as Microsoft, Double-Take Software, IBM, Lakeview Technologies, Vision Solutions, Maxwell Technologies, SensAble Technologies and 3D Systems. Her integrated e-marketing and web development campaigns are based on performance metrics and are results-driven to generate leads, increase sales and ultimately grow your business. Prior to starting her consulting firm in 1998, Deb held several marketing management positions at Digital Equipment Corporation and Axil Computers, a division of Hyundai, where she strategically planned marketing programs. She studied Liberal Arts at Assumption College and attended an Executive Management program at Babson College. 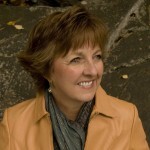 Ms. Buckley is a published author and is the recipient of numerous marketing achievement awards. She loves spending time on the sea in her kayak on Cape Cod, as well as participating in 3Day Breast Cancer marathons throughout the United States. Her training companion is her 100 lb black lab pup – Kona. She lives on the Cape and in Central Mass with her husband and on occasion; with her two talented and amazing daughters; Briana and Erin! Let eM4us keep you in the know with industry news on the internet, marketing, branding, social media and small business topics. © 2019 All Rights Reserved | eMarketing4us and eM4us are trademarks of eMarketing4us, Inc.